A. Lower back that feels tight, warm, or inflamed, and needs to become relaxed, cooled, and calmed. 4 oz Pumpkin Seed Carrier Oil or 4 oz Shea Body Butter. B. Lower back that feels tight, cool or lacking in circulation, and needs to become relaxed, warmed, and gain an increase in circulation. Drop the Essential Oil drops, into the Pumpkin Seed Carrier Oil. Shake before use. Or, drop the Essential Oil drops into the Shea Body Butter, then stir thoroughly, for several minutes, using a knife. Apply to affected area, but spread well beyond the tense muscle. For example, if you have a sore spot on your lower back, apply to entire lower back areas. Ingredients: Lavender Essential Oil (Lavandula officinalis, extracted from Lavender flowers), whipped into a hydrogenated, creamy Soy Body Butter. No Preservatives. 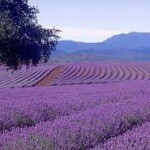 Lavender Oil is the strongest essential oil painkiller found in nature. Ingredients: Chamomile Essential Oil (Anthemis nobilis, extracted from Chamomile flowers), and Tansy Essential Oil (Tanacetum annum, extracted from Tansy flowers), whipped into a creamy Vegetable Body Butter (hydrogenated). No Preservatives. Extremely anti-inflammatory cream – due to azulene, from Chamomile flowers, and chamazulene, from Tansy flowers, which makes this Butter naturally blue. 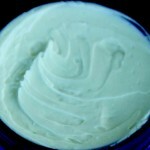 Chamomile Body Butter calms and soothes muscle tension rapidly, because Essential Oils penetrate every layer of muscle. B. Devil’s Claw, a natural herbal supplement, has been recently shown to work as well as Ibuprofen, but without the awful side effects associated with Ibuprofen. To benefit from its anti-inflammatory potency, take 1,500 to 2,000 mg twice a day. It must contain a standardized extract of 50 mg of harpagoside. Devil’s Claw is not for people suffering from ulcers, or for people on blood thinners. If in doubt, speak to your doctor regarding other medical conditions, before starting Devil’s Claw herbal extract for lower back ache, muscle or joint inflammation. If, however, you experience extreme or sharp pain in the lower back, which radiates or refers downwards into other areas of your body, you could have sciatica, which requires additional remedies to those listed in this article.